First Lieutenant Lafferty was a pilot of a F-51D Mustang with the 39th Fighter-Interceptor Squadron, 35th Fighter-Interceptor Group. On January 31, 1952, while making a strafing run on enemy positions, his aircraft was shot down by ground fire. He dove into his target. His name appeared on list entitled "The Transfer of U.S. Korean War POW's to the Soviet Union" in September 1993. His remains were not recovered. First Lieutenant Lafferty was awarded the Air Medal, the Purple Heart, the Korean Service Medal, the United Nations Service Medal, the National Defense Service Medal, the Korean Presidential Unit Citation and the Republic of Korea War Service Medal. First Lieutenant Lafferty was a pilot of a F-51D Mustang with the 39th Fighter-Interceptor Squadron, 35th Fighter-Interceptor Group. On January 31, 1952, while making a strafing run on enemy positions, his aircraft was shot down by ground fire. He dove into his target. No other information on his loss incidnet is known, or if known, has been made public. In 1993, "The Transfer of U.S. Korean War POWs to the Soviet Union", also known as the 77 Page Report, a classified report, was leaked. The report was authored for the Joint Commission Support Branch, Research and Analysis Division, DPMO, Pentagon, and deals with the issue of US POWs from the Korean War who were transferred to the former Soviet Union and never repatriated. 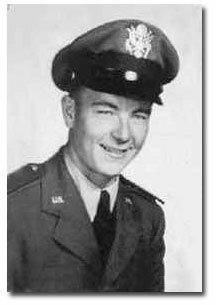 Lieutenant Lafferty's name appears in Appendix B of the report, "31 Missing USAF F-86 Pilots Whose Loss Indicates Possible Capture." First Lieutenant Lafferty was awarded the Air Medal, the Purple Heart, the Korean Service Medal, the United Nations Service Medal, the National Defense Service Medal and the Korean War Service Medal. A memorial headstone will be placed in Arlington National Cemetery on 27 October 2005 in memory of Lieutenant Lafferty.